Betty June Grindstaff, age 87, of the Toe Cane Community, passed away at the home of her daughter, Rebecca and husband Kevin on Thursday, December 6, 2018. She was the daughter of the late Homer and Bess McKinney Johnson and the wife of the late Joe Grindstaff. She was also preceded in death by a infant son. 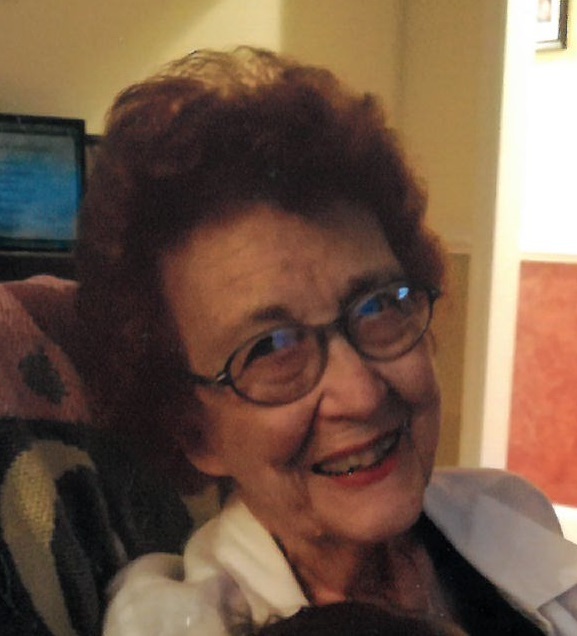 Betty was a former employee of Roberts Chevrolet and worked many years for Taylor Teague CPA in Spruce Pine, NC. Survivors include her daughter, Rebecca McKinney and husband Kevin of Bakersville; her granddaughter "the sunshine of her life", Stacie McKinney Johnson and husband Marty of North Wilkesboro, NC; "adopted granddaughters", Jenny and Kelly McKinney; great grandchildren, Elizabeth Ruth and Zeb Thomas Johnson; her nieces and nephews and church family. Funeral services will be 2:00 pm Saturday, December 8, 2018 in the chapel of Henline-Hughes Funeral Home with Revs. Sherrill Whitson, Mark McKinney and T.J. Robinson officiating. The family will receive friends two hours prior to the service. Burial will follow in the Green Young Cemetery. Flowers are appreciated, or memorials may be made to Hospice and Palliative Care of the Blue Ridge, 236 Hospital Drive, Spruce Pine, NC 28777.